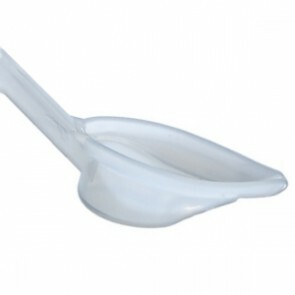 Our 'Essentials' page is full of products that you may find you need during your pregnancy. From 'mum to be on board' car signs to dopplers and holos this section is a real maternity mix! If you're not aware of Group B Streptococcus (GBS) and its potential implications for a newborn, we have lots of information and guidance on GBS in our Reading Room. 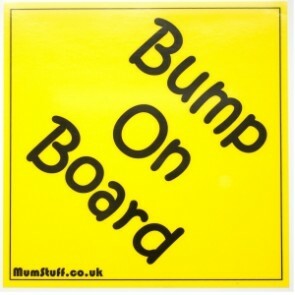 Exclusive to MumStuff, this handmade 'Bump on Board' sign is a must for any mum-to-be! Not only does it alert the emergency services to your pregnancy it is also a fun way to tell your friends you're pregnant! 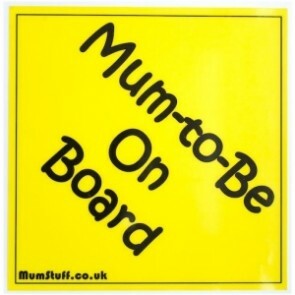 Exclusive to MumStuff, these fun, reusable static cling 'Mum-to-Be on Board' sign is a must for any mum-to-be! Not only do they alert the emergency services to your pregnancy it is also a fun way to tell your friends you're pregnant! 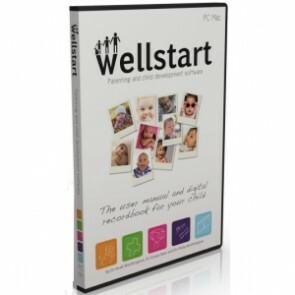 MumStuff is pleased to be one of the first retailers to stock this innovative product. On this CD you will be guided into a wonderful state of mental and physical relaxation and given many post-hypnotic suggestions to help you prepare your mind and body for conception. 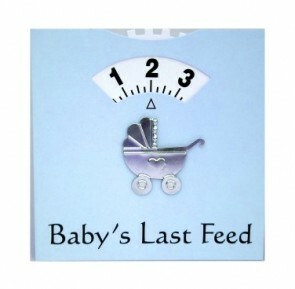 The Feeding Wheel Gift 'Card' makes a really great little 'stocking filler' gift for the new parents.The Feeding Wheel helps parents keep track of baby's feeding times. Emma-Jane's Maternity Tights are idea for everyday wear during your pregnancy. They are perfect for wearing to work or if you're going out somewhere special. It can be pretty tricky finding quality, reasonably priced maternity tights. But these Emma-Jane's Maternity Support Tights are ideal throughout your pregnancy and fit the bill!